The route runs between rivers and lagoon to Chioggia (15 Km), where you climb the ACTV boat to Caroman di Pellestrina, to visit the natural oasis up to the wild beach, or directly to Pellestrina, where you can climb on the Murazzo and get off in the wild beach that runs along the whole island. From here continue to the end of the island, Santa Maria del Mare (8 Km); climb on the Ferry Boat to cross the mouth of Porto. 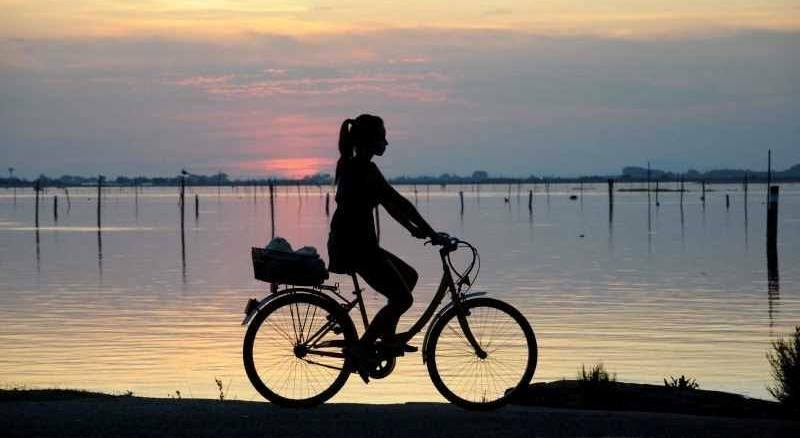 Take the bicycle route back to the Venice Lido (10 Km): you can visit the beach of Alberoni, the picturesque town of Malamocco and the Lido of Venice. From here you can reach Piazza San Marco by boat for a quick visit to the Marciana area.